You can search by store below. If you don't see what you want, please contact your nearest store or email us at comments@pacificfabrics.com . Class fees are non-refundable unless the class is cancelled by the store. Before you register, please click here to read all of our class policies. Online registrations are processed on week days only between 9:00am and 4:00pm. If you are registering after 4:00pm or on a Saturday or Sunday, please call the store directly. 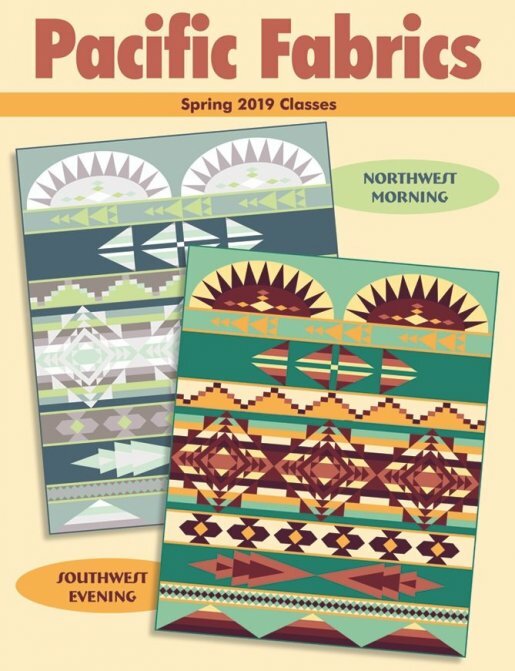 If you are registering for a class that begins today or tomorrow, please call the store to register and confirm that there is space in the class. Your space in the class is not guaranteed until the store can confirm room in the class. You will be contacted and issued a refund if the class is full. Knit with multiple colors to make a two-sided fabric. Save your back and your knees with this comfortable and fast method. Learn to knit or crochet or both. Kids (8+) will learn how to safely use a sewing machine and sewing supplies. 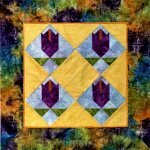 Learn this relaxing method to make motifs for quilts and other projects. Learn the basics of embroidery. You can make your own pillows! Paint, stencil and embellish canvas. Learn the secrets to making folded fabric tulips. Sewing with knits is fun and easier than you think.